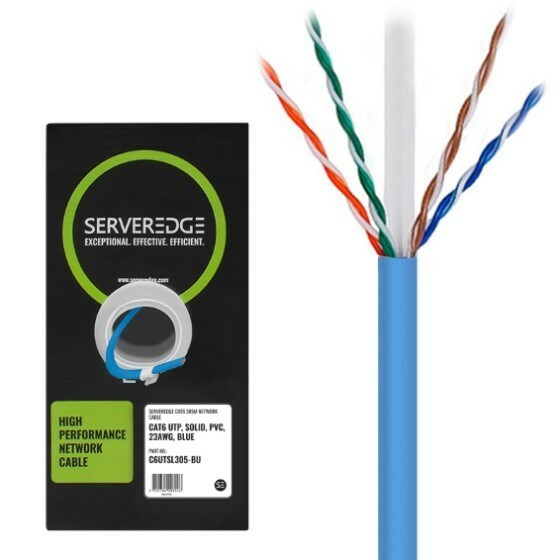 Serveredge CAT6 305m Network Cable - UTP Solid PVC 23AWG can be used to connect a variety of devices in a high-speed network. The cable is twisted in pairs separated by an integrated pair divider and protected by a PVC jacket. It is packaged in an easy to use pull box carton. The cable meets and exceeds all CAT6 TIA/EIA standards and drastically reduces both impedance and structural return loss (SRL). The cable is made from the highest quality copper to maximize performance and minimize Near-End Crosstalk (NEXT).